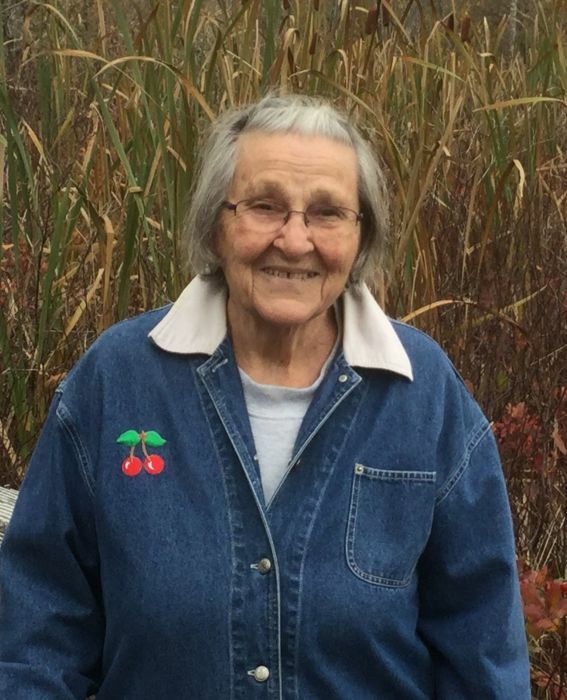 Obituary for Frances "Kewpie" (Donathan) Gage | Bowerman Funeral Home, Inc.
Frances “Kewpie” Gage, age 93, passed away peacefully on the morning of November 8, 2018. She died surrounded by family at her home on St. Martins Hill, where she had lived for 65 years. She was born in Munising on October 24, 1925, to Albert and Lillian (Jarrett) Donathan. She was named Magdalen Frances after her mother’s best friend, Munising school teacher Magdalen (Lena) Frances Delger. Ms. Delger nicknamed her Kewpie because there were three children named Frances in the same class. Kewpie is survived by her husband of 72 years, Edgar Erie Gage; sons Brady (Keely) Gage of Euharlee, GA, John Gage of Idaho, Chet (Jamie) Gage of Munising; daughters Micki (Dale) Sarasin of Gladstone, MI, Teri (Paul Taylor) Gage of Bayfield, WI, and Sabrina Gage of Phoenix, AZ; daughters-in-law Trish Gage of Brainerd, MN, Linda Greenwood of Warner Robins, GA, and Linda Webb of Cornelia, GA; 18 grandchildren, 14 great-grandchildren, and one great great-grandchild; sister-in-law Eleanor Shaw of Arizona.